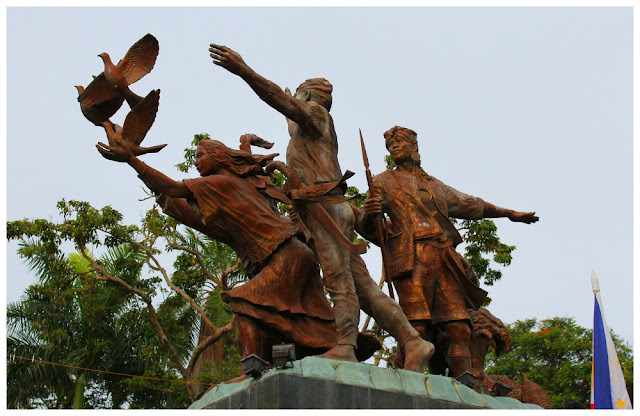 DAVAO CITY, Davao del Sur - Our short trip to Davao has taught us to appreciate Philippine sculpture more, and local Davaoeño sculptor, Kublai Millan, has become our personal favorite. 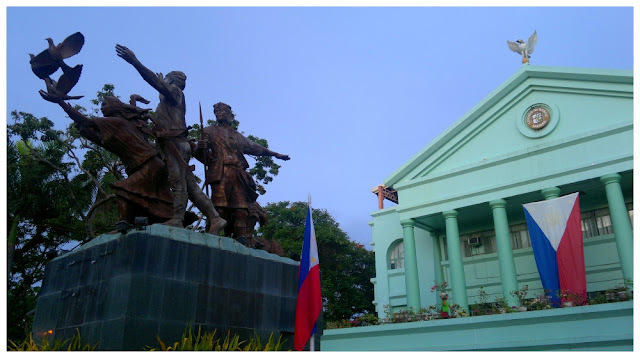 Among the works of Millan is the Commemorative Monument of Peace & Unity located right in front of the Sangguniang Panlungsod (Legislative Building) and across the San Pedro Cathedral. The monument celebrates the peaceful and harmonious coexistence between the indigenous and migrant people of Davao. Unveild during the 1998 celebration of the Centennial of Philippine Independence, the monument is also dubbed as the Centennial Monument of Peace & Unity. Since then, it has become an important landmark in the city. Today, the 14th year anniversary of its unveiling concides with the celebration of the 114th year of Philippine Independence. 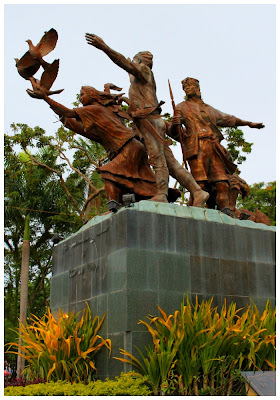 There is truly no better way to conculude our first visit to Davao than to stand in front of this monument on a June 12. We have fallen in love with Davao and will surely revisit this city in the months and years to come.